At Bann we are all about solving problems. In our site you will find solutions wrapped around print, promotional products, apparel, office products and our bank solutions. Here at Bann Business Solutions our philosophy is focused around strategy. For us, marketing begins with a core message from which all marketing and sales activities are derived called a message strategy. Digital Direct Mail is a new innovative digital marketing service that allows our clients to place online advertisements directly in front of their target audience on their web browsers at their chosen time. Bann Business Solutions is uniquely positioned to help companies with almost any of their print needs. As part of the Print Service Distribution Association we have access to hundreds of manufacturing plants all over the country. Our accelerated digital marketing services strategically unite all possible components of digital marketing campaigns into a cohesive whole, ensuring that every element is powerfully employed on all fronts—whether through social networking, mobile platforms, local outreach, paid advertising, SEO, or interactive media. The results are a cross-channel marketing experience that sees unparalleled returns on client investments. We don’t believe in a “one-size-fits-all” approach to internet marketing. That’s why our clients receive a made-for-you, done-for-you digital marketing campaign built from the ground up to take your unique needs and goals into account. Our experienced team of marketing experts delivers clients undeniable results time and time again. But we don’t want you to just take our word for it. Feel free to review real examples of our team in action in the case study and testimonial section of our website. Our clients benefit from our personalized approach with lower costs, fast execution, increased reach, return, and revenues. Allow us to organize all the moving parts of your digital campaign(s) and online presence. Whether it’s reporting and responding to your audience in real-time or building your entire digital strategy from the ground up, we’re capable of making you stand out online. 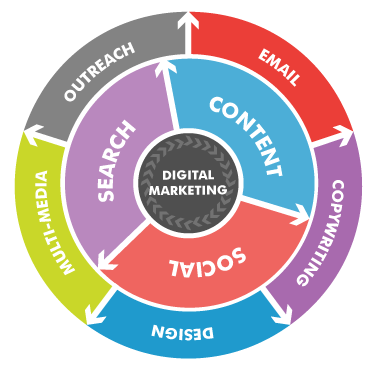 The digital process we employ is rooted in reality and effectively achieving conversions. 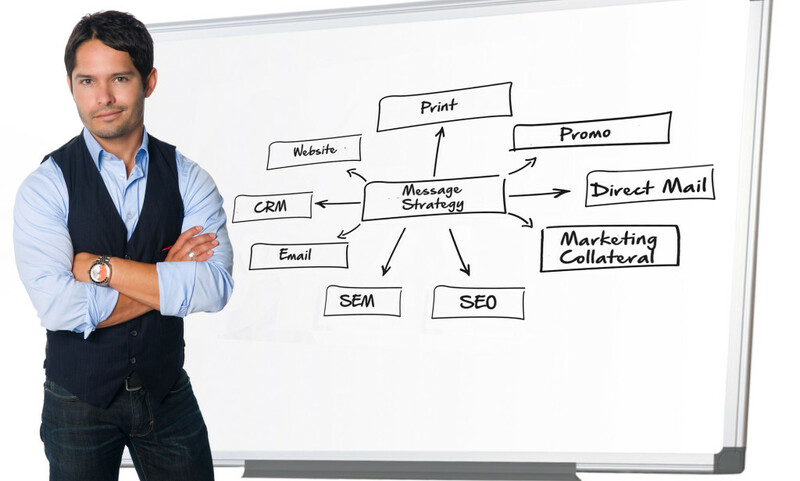 We understand your bottom line need to generate profits by turning traffic into top sales. It doesn’t matter when or where, you can always be growing your business online—and we want to help you do so. We focus on building your brand and company by helping you deliver a powerful message strategy through a variety of mediums and touch points. While our expertise lies in print and digital marketing, we have the resources and partnerships to provide quality marketing services of virtually any kind. Whether we are at the center of your marketing efforts, or just providing a helping hand, we will ensure your company’s core message strategy remains intact and that each component of your marketing mix is capable of driving results. Results are the second essential component of the Bann philosophy. Regardless of our overall level of involvement in your business’s marketing strategy, we firmly believe that it is our job to achieve measurable success for your business with all of our work. Whether we are helping you generate more prospects and sales leads, improving your marketing effectiveness and ROI, helping you integrate your marketing mix, or performing any other function for your organization, our approach is goal oriented. Therefore, our solutions are based on their relevancy to your business. Simply because there are a plethora of channels available to the digital marketer in this day and age doesn’t mean you should be leveraging all of them. That’s why we won’t try and provide you with wasted marketing services, only the ones you need. Ultimately we hope to help you develop relationships with customers and keep them engaged overtime, all the while exceeding your expectations through quality service. Digital Direct Mail is a new innovative digital marketing service that allows our clients to place online advertisements directly in front of their target audience on their web browsers at their chosen time. Launching campaigns is quick, easy, and will positively impact your marketing and sales efforts. Our program improves the overall return on investment of your marketing campaign by providing substantially higher revenues and lower incremental costs. We will work with you every step of the way from pre-launch specifications and recommendations to providing results and analytics to ensure satisfaction and a successful campaign! 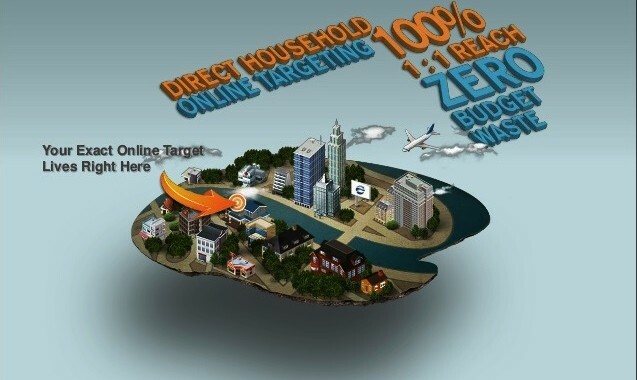 Driving Direct Mail Online: Our technology targets individual households with your online advertisements by matching the physical mailing address with the corresponding IP address. This allows you to place your ads directly in front of your desired consumer through their web browser with pinpoint accuracy and no waste. Targeting organizations: Is your business trying to get the attention of students on a college campus? Members of a military base? How about residents at a hotel? Our new digital service can target the network server of these organizations and post your ads in front of the people connected to that network at a given point in time through either a wired or wireless connection. Our program is constantly opening new doors for targeting different organizations so if you have questions about what organizations we can target, we would be more than happy to answer them! Going Beyond Classic Online Targeting: Our patent pending technology does not rely on zip code areas or cookie-based targeting. Often consumers’ behavior online is different from how they behave in the physical world. Reliance on cookies is a dying trend and one that our digital direct mail program defeats. Additionally, our method is more precise than geo-targeting by zip code. Many of these ads find computers that are not controlled by people. When people do not see your ads this wastes your efforts and money! Our methods and marketing expertise can help you construct the perfect digital direct mailing plan for your company. We can use it to bolster physical direct mail campaigns, email campaigns, and as a singular direct marketing effort. Exposing your ads directly to your target market will increase the number of landing page visits and conversions. Additionally, all of our campaigns have a simple match back analysis to track who is responding to your ads and converting on your offers. We understand that this technology is complex and a one page explanation cannot do it justice, so we encourage you to contact us to have a conversation about how this our program can work for you! Leave us a note with your feedback and we will get back to you as soon as possible! Bann Business Solutions is uniquely positioned to help companies with almost any of their print needs. but the experience of our print manufacturers as well. Given that the print industry is where our company got its start back in 1939, this is a lot of experience. Our print services are highly refined and developed. So much that we are able to handle the storage and distribution of printing orders in any size or type. Whether big or small, choosing Bann to handle your printing needs means that you’re in good hands. We offer over 50,000 square feet of warehousing to all of our clients. This can be leveraged to ship and store print orders of nearly any shape or size. When it comes to print services, we’re equipped to take care of your print needs with: faster and more efficient shipping, effortless fulfillment, and vast amounts of data at your fingertips. This insures that when clients come to us they are pleased with not only the results, but the hassle-free process as well. When you call us to fulfill a print order, be sure to ask about tailored pick and pack, volume, bulk or full packaged storage and distribution capabilities. We offer these alongside a wide range of support services including web fulfillment, entire logistics management programs, online order processing, and real time inventory. All of this is done to insure you receive a quality product and service.